I wanted to introduce you guys to The Art Mint and its founder Kelly Worman. Based in NYC Kelly launched The Art Mint to connect people to original art by highlighting up and coming artists. 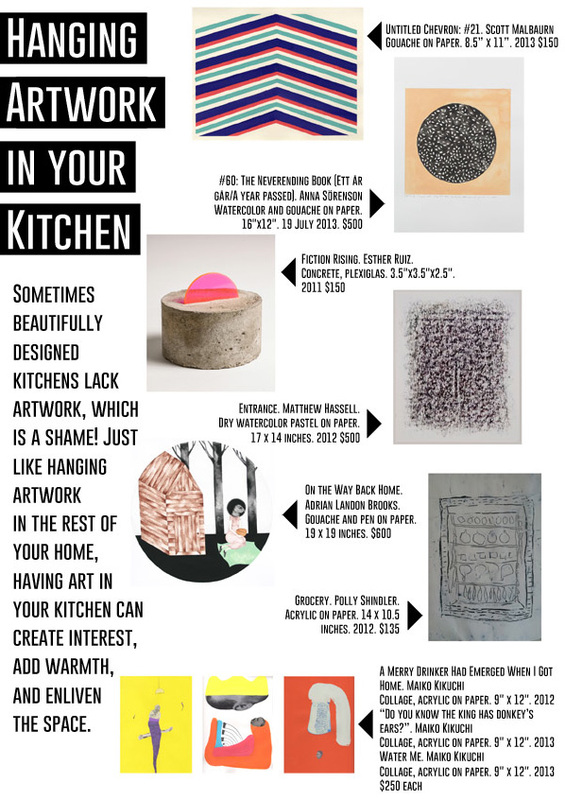 What I love about Kelly and her company is that she breaks down snooty barriers by curating a selection of art that is both accessible and affordable.Â Recently I asked her thoughts for hanging art in the kitchen, something I am pretty passionate about, and also one of the most neglected areas when it comes to art I reckon.